This unique satchel purse is perfect for the ultimate Harry Potter superfan! 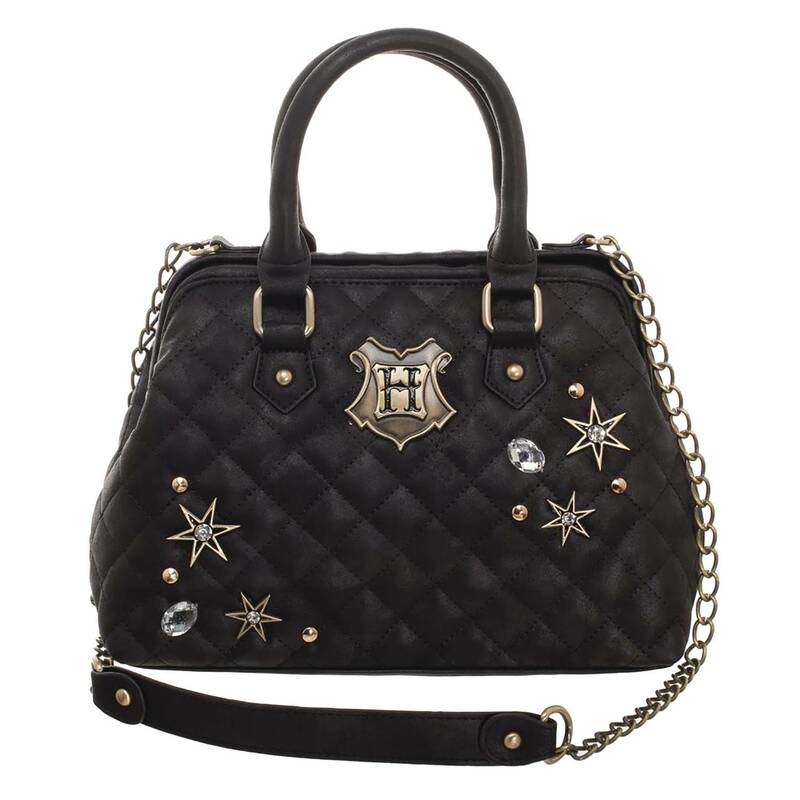 It features 3D raised metal accents & jewels, fabric lined interior with smaller fabric pockets inside, plus a hinged closure and accessories, such as a longer 48' over the shoulder strap. 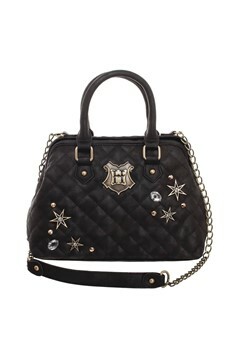 Bag Measures approximately: 8'H x 11'W x 4'D..